The Blond travels: Liebster Award nomination! 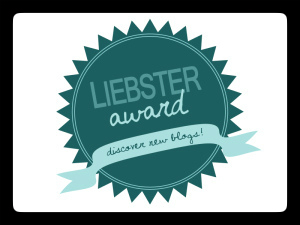 Tipsy Nomads and C'ing the World have nominated me for the Liebster Awards. I'm really honored and feel appreciated. The award is given out by fellow bloggers to help people discover other travel writers. Answer 11 questions asked by a blogger who nominated you. Nominate further 11 bloggers and ask them your questions. Share 11 random facts about you. 1. What is the most money you have ever spent in one night, just on drinks and where was it and what were you drinking? Most of the time I'm really sensible when going out and take a limited amount of money with me, so it's hard to answer this question. I think the most expensive drink I've had was in London, in one of the bars in Soho, which cost me £20 and it wasn't really that good anyway. 3. What was the cheapest drink you have ever tried and where was it and what did it taste like? In Vietnam. I think it was around 40 p for a small beer. I went out with some of my friends to a beach club in my home town. Next to it there was a little pool, around 05 meter deep, for the kids, which was open only during the day. One of my friends took his clothes off, jumped through the fence and jumped into the pool, head first. Luckily, nothing happened to him. 5. What is your best hangover cure/routine? Orange juice, English breakfast and a walk. 6. What is your all-time favourite drinking song? 7. Where in the world is your favourite drinking spot? It must be Had Rin in Thailand. 8. Have you ever played a drinking game? If so what was it and how did it work? No, I didn't. We don't have that in Poland and haven't had a chance to do it in the UK. Shame on me! 9. Have you ever snuck a drink in somewhere where it wasn’t allowed? How did you do it? Yes. When I was younger we used to go to this club with my friend. To save money we used to put bottles of beer in the sleeves of our jumpers and in our hoods. It was fun! 10. Were you ever busted drinking while underage by a parent or anyone else? 11. Why do you think that drinking and travelling go hand in hand so well? I think it's about socializing. You meet so many people in bars and clubs. Besides, when you're in hot country a cold pint of beer is always a relief. 1. When were you bit by the “travel bug”? I think I always had it, but felt the bite when I went to Thailand in 2012. I don't have a bucket list as such, but I always wanted to go to Australia. I hope I can make it come true next year. 3. What is your biggest pet peeve of other travelers? I get annoyed when see people who don't respect other cultures. When I went to Vietnam there was the Chinese New Year at that time. After midnight the Vietnamese burn fake money and other things for their ancestors. They usually do that on the streets. I saw some backpackers drinking beer and singing around a fire, where an older man prayed. It was disgusting. 4. Do you have any tips or tricks for sleeping on an overnight flight? Nothing unusual. I put a blanket on, and some calming music - that's it! 5. Where is your favorite airport? I don't really like airports. They make me nervous. They remind me of waiting in a queue at a doctor's. 6. What is the weirdest thing you have eaten throughout your travels? In Sapa I had some rice thing, which was prepared by the Hmongs as our breakfast treat. It looked like a snot and hang loose from a stick. It tasted like burned rice and was a little like glue. It stuck in my mouth and I couldn't swallow it. 7. What is the best thing you have eaten throughout your travels? You'll be surprised. It was a pasta with salmon and cream at a little bar in Had Rin. The best Italian food ever! 8. Of all of the places you have traveled, which one would you like to spend an entire year living in? I don't think I could live in one place for that long. I would like to live for longer in Luang Prabang, Vientaine and Rome. 9. If you didnt speak the local language, which city was the most difficult for you to communicate? Dien Bien Phu in Vietnam. They didn't even know what a 'toilet' means. 10. Excluding travel costs, which place that you have visited was the most expensive to explore (eat, drink, sleep, tour, etc..)? I think Spain was quite expensive and Italy is not cheap either. 11. Excluding travel costs, which place that you have visited was the least expensive to explore? Laos - a double room costs just $10. 1. I was born and raised in Poland. 2. When I was 13 I started working at my dad's bar during the summer - illegal, but very exciting for me. 3. I never traveled far until last year, when I went to Thailand. 4. I fall in and out of love very easily, but I'm also a feminist. 5. I really, REALLY like to party. 6. I'm planning to move away from the UK for a few years and teach English abroad. 7. I'm against war and violence and don't agree with the whole terrorism theory - think it's just an excuse for the governments to take over the oil industry. 8. I love dogs and would like to have one of my own one day. 9. My dream is to go to Australia. 10. I'm always worried about money. 11. I've never wanted to have kids. 1. What was the 'blondest' (the most silly) thing you did during your travels? 2. Tell me about a moment, a place, or a person who/which took your breath away, or changed your life forever. 3. What was the last country you visited and why did you choose to go there? 4. How do you prepare for your next adventure? 5. What are your 3 things you always take with you when you go away? 6. How do you fund your travels? 7. Have you ever worked in a foreign country? 8. What was the most scary thing you have ever done? 9. Have you ever traveled alone? If so, how was it like? Did you feel lonely? 10. What do you say to people when they say 'I wish I could travel like you'? 11. What are your travel plans for the nearest future?